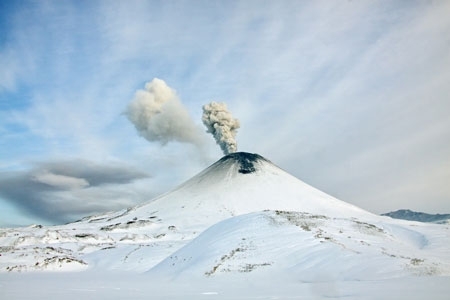 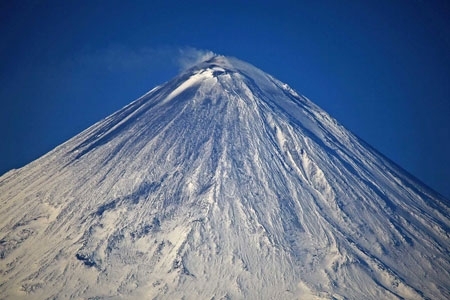 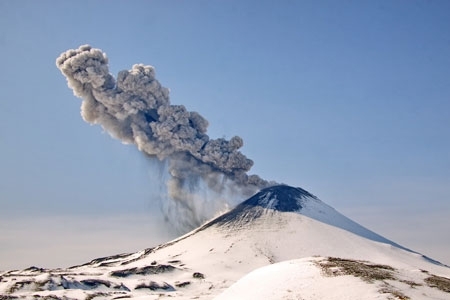 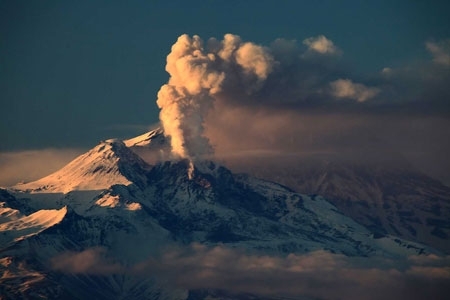 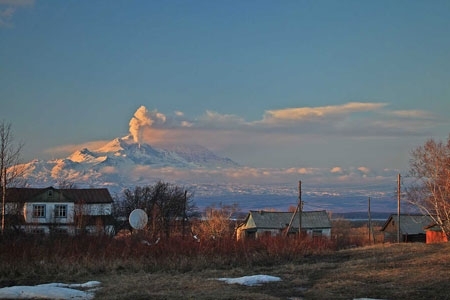 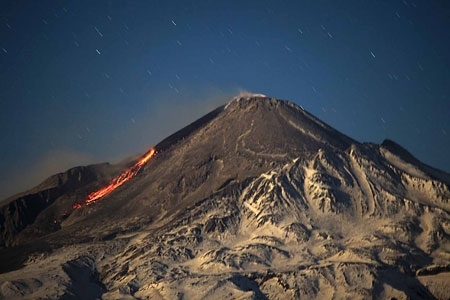 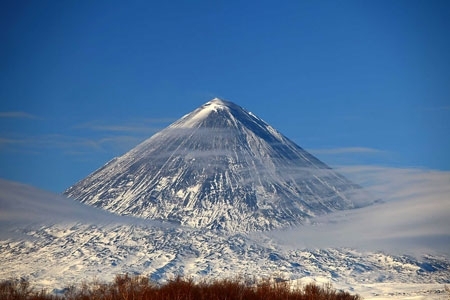 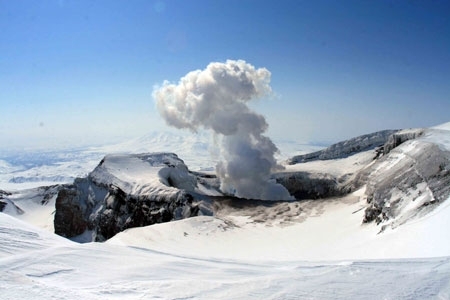 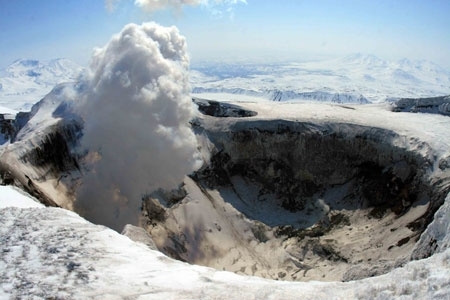 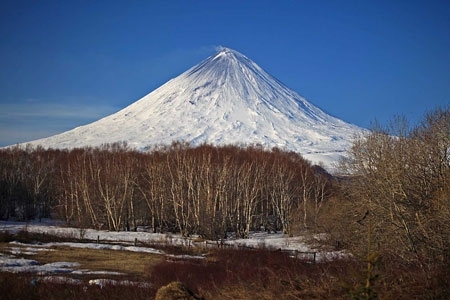 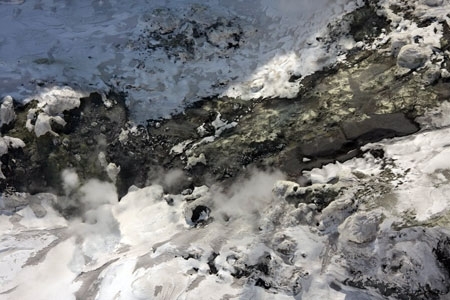 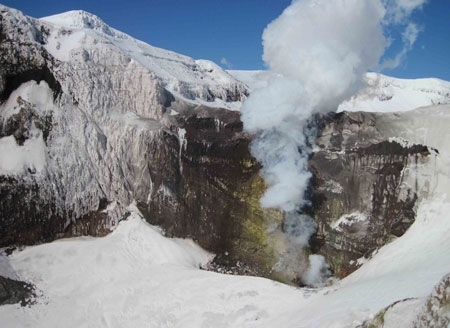 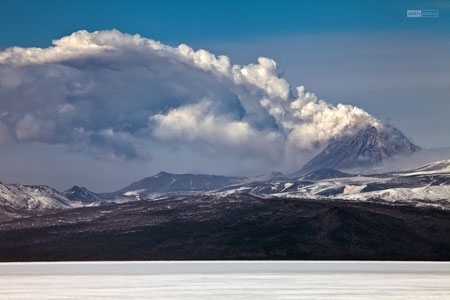 State of Kizimen volcano on April 20, 2011. 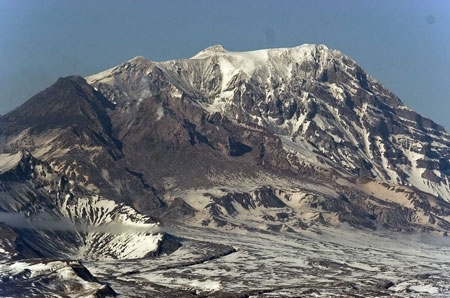 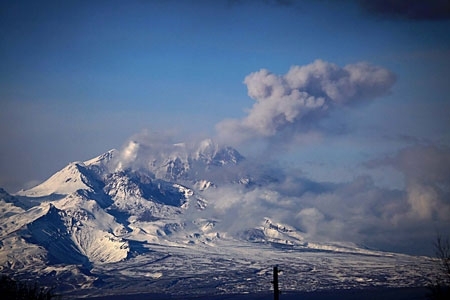 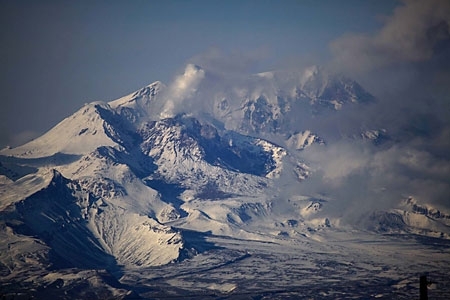 There are the lava flow effusion on the lava dome slope and hot avalanches collapse from its front on April 18, 2011. 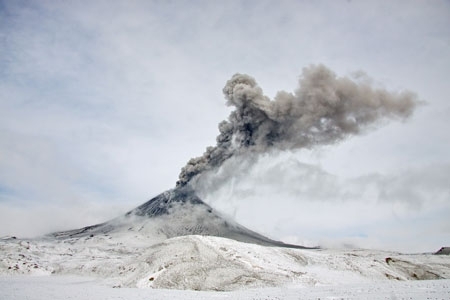 Ash samples of the volcano on April 14, 2011. 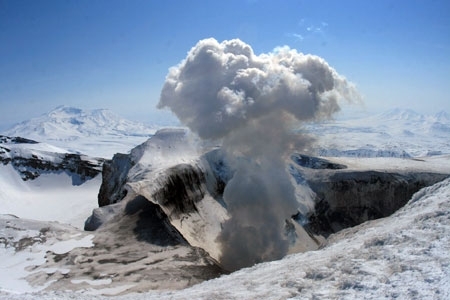 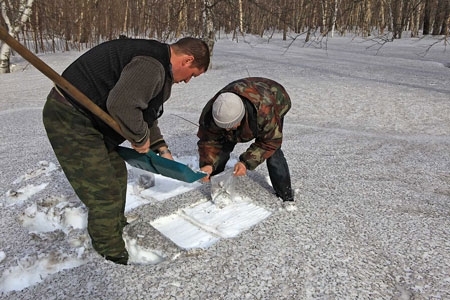 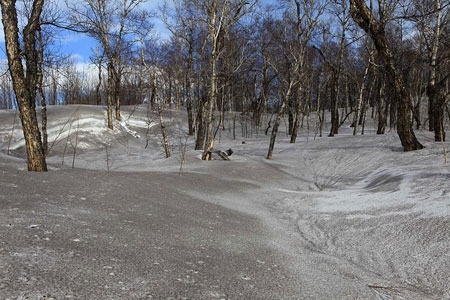 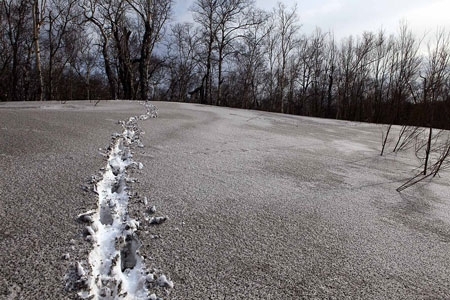 Ash deposits of Bezymianny eruption on April 13, 2011.